Cover Reveal for a New Dieselpunk Story! I’m excited to introduce to you my newest character and her world! The character is Mrs. John G. Jones – Cornelia to her friends. The world is Los Angeles during the Roaring 20s – with a little magic thrown in. Cornelia Jones will be the headliner for a new series of dieselpunk short stories. So what’s dieselpunk? Here’s a post I wrote where I give a few different common definitions of this fast-growing genre. Think historical fantasy, retro-futurism, steampunk set in the 1920s, or classic pulp adventure stories. The Mrs. Jones adventures will encompass a little bit of all of that. 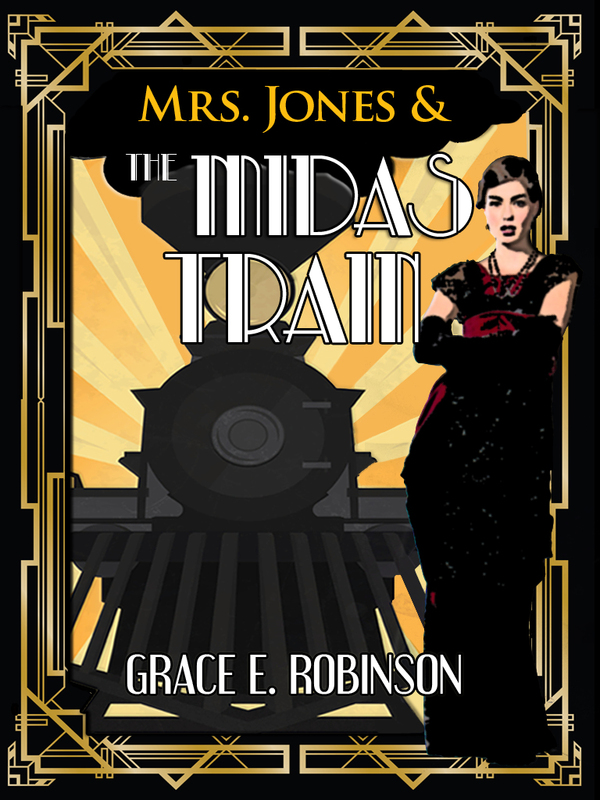 And on that note, here is the cover and blurb for the first story: Mrs. Jones and the Midas Train. An old scientist has invented a device that he believe will change the face of medical science, and he needs just one more piece to make it work. But the Caelum, a secret organization that uses science and magic for nefarious purposes, wants the device for their own. Cornelia Jones agrees to protect the old doctor on his train trip merely as a favor to a friend. But she soon gets more than she bargained for when she learns that the doctor’s invention is much more than a medical device. Can Cornelia protect herself, the doctor, and everyone else before the train becomes their doom? Stay tuned to this blog or to my Facebook and Twitter so you’ll know when the book is available. Not long now!